We think of fall as the time to clean up the garden and get everything put away until spring but the truth is, tidying up can be harmful to your garden. All of the wildlife (great, small, and microscopic) that sustains life relies on old brambles and decaying plants for sustanance and habitat over the winter months. The bottom line is, protect material goods but leave the ‘mess’. 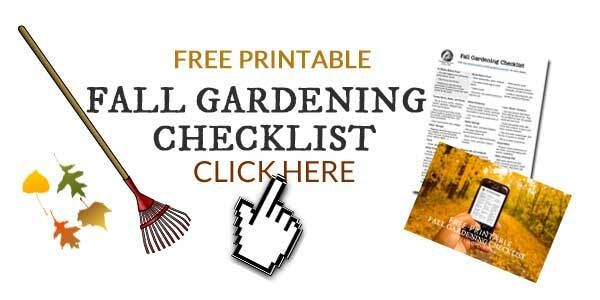 You can print out a handy checklist of fall garden tasks here. To decrease the stress (and regrets), I have a priority system that ensures the really important stuff gets done and the nice-to-get-done-but-not-essential stuff is tended to only if time permits. Tasks commonly assigned to fall gardening that aren’t actually beneficial, such as removing old plant growth that the birds rely on for the winter, never make the list. I also have it on good authority that the world will not end if I don’t plant early-blooming spring bulbs—as lovely as they are— but it will be a real waste if current, established plants perish simply because I failed to provide some cold weather protection. You get the idea. All efforts are put into real pay-offs and the rest can wait. I’ll show you how I set my tasks in order of urgency, and then do what I can. If winter invites itself to the party a little too early, at least the most important stuff done. And if I’m lucky, I’ll get the bulbs in the ground too. 1. Protect what you have. Give priority to protecting the plants, water features, tools, outdoor furniture, and garden art. To me, older, established plants are the most valuable asset in my garden (not just monetarily but aesthetically). Everything else is easier and less expensive to replace if damaged during the cold season. Animals give life to our gardens. Avoid the tempatation to ‘clean up’ dead or decaying perennial growth and seed pods. These provide essential food and habitat for all of the living things in our gardens including bees, butterflies, birds, other insects, and microbes. Unless diseased, pest-infested, or invasive, leave everything until late spring, and then make room for new growth. Mulch, leaves, and cover crops protect plants and soil, help retain moisture, and gradually decompose further enriching the soil. Don’t get rid of them! How to protect your garden with mulch, leaves, and cover crops. Leaves are also great for the compost bin, providing carbon/browns to balance the greens/nitrogen suppliers. 5 ways fall leaves benefit your garden. Tender plants include annuals that still have some life in them but need to be indoors in a greenhouse or other growing area during the winter. How to prepare tender plants for the winter. Some semi-hardy plants such as potted fig trees may also need special care. How to over-winter fig trees (and other semi-hardy plants). How to over-winter geraniums (as houseplants or in storage). Ponds and water features may also need winter protection depending on the size of your pond, the setup, the type of aquatic plants you have, fish, and your climate. How to care for a small garden pond or water feature during the winter. Any breakable garden art (that could snap from the cold) should be stored in a shed or garage. Good garden tools can be expensive but can also last a lifetime (and then some) with proper care. Fall is an excellent time to make any necessary repairs, sharpen and oil them, and have everything organized and ready to go in the spring. But life will continue as we know it if you put this off until later winter or spring. How to care for garden tools so they’ll last a lifetime (or more). Protect or store outdoor furniture and decor that can be damaged by winter weather. Fall is the time to prune any dead, damanged, or diseased branches you may have missed in the summer. Others need late-winter care (like apple trees), and the rest can wait until you’re tidying up in the spring. 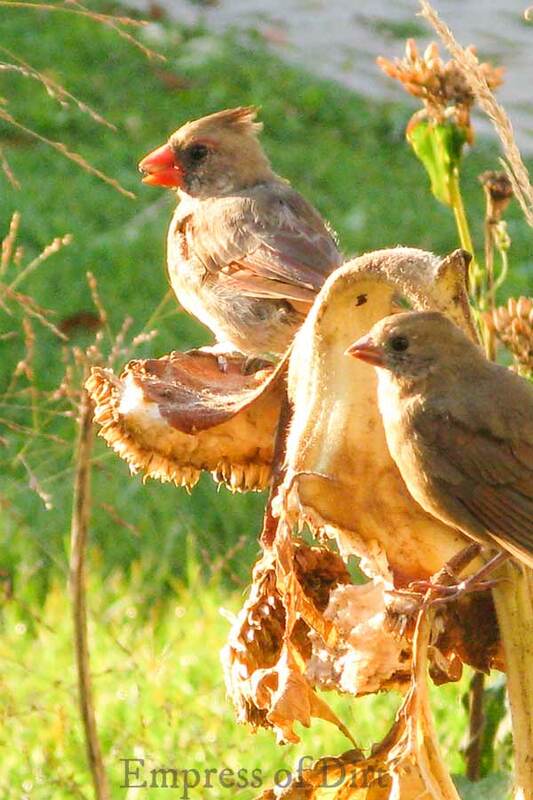 As mentioned, garden debris including old branches, leaves, seed pods…provide essential food sources and habitat for overwintering insects, birds, and other wildlife. Spread the word that fall ‘mess’ in a garden nutures life in spring. 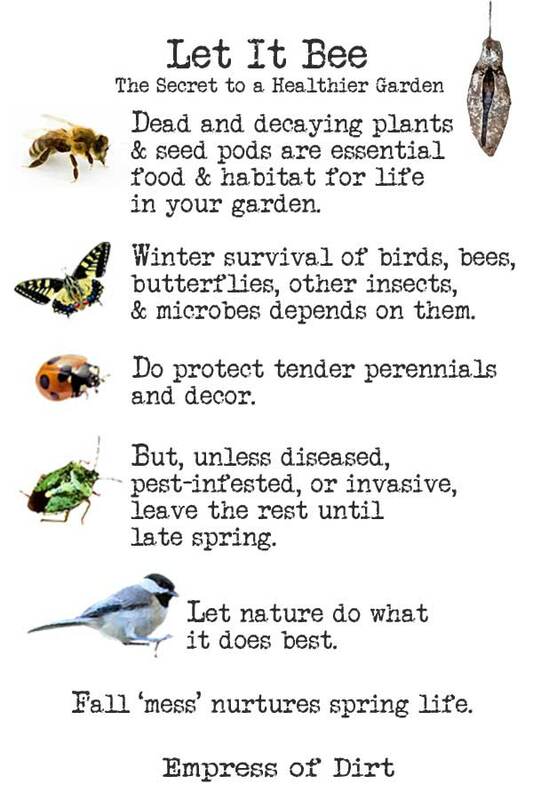 Ensuring your garden benefits birds, bees, insects, and other wildlife during the winter. 2. Grow fall and winter veggies. 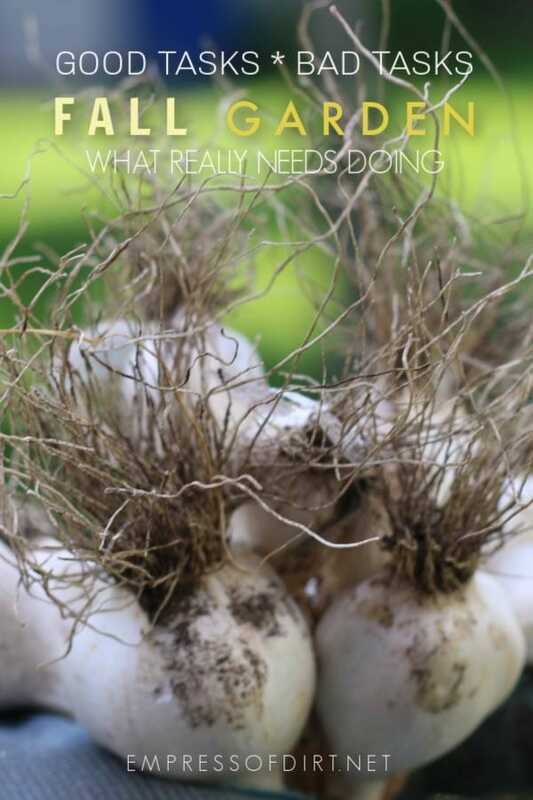 For most of us, growing vegetables in the fall and winter is not critical, but it’s sure nice. One of the keys to successful winter food growing is to start the crops late summer or early fall. Where you put cold weather veggie growing on the priority list is up to you, but do take note that these crops need an early start to get their roots established before the cold sets in, so if you think you want to grow some, get the plants started early or find a source for starter plants. There are many flower seeds and, of course, spring bulbs that require fall planting. And don’t forget to have your winter compost bin ready to go. Thank you for raising this topic! My spouse and I go back and forth about this, especially at the end of the gardening season. He is a neatnick. While I believe nature knows best and isn’t always perfectly tidy, but that’s okay too! The critters thank you for advocating on their behalf.